Local small business ATM2GO is asking that not all ATM fees be tarred with the same brush following the announcement that Australia's four big banks would no longer be charging ATM withdrawal fees. ATM2GO is a proudly locally owned and operated business that has supplied mobile ATMs to events and retail ATMs to shops, pubs and clubs for more than six years with 15 franchisees located throughout Australia. ATM2GO Director Jenny Marsh said the big banks decision had prompted some politicians to make ill-informed demands that all private ATM operators should scrap their 'excessive' ATM fees as well, which would have a detrimental effect on many small businesses. "It was a very easy decision for Australia's big four to stop charging their customers ATM withdrawal fees and it is a decision that will be barely make a dent in their record breaking multi-billion dollar profits," Mrs Marsh said. "Customers that use our ATMs at their local school fete or Sunday market are asked if they will pay a convenience fee. This is a fee that we charge to provide them with convenient access to withdraw cash. This fee is a choice. People are well within their right to refuse to pay this fee and they can choose to go up the road and withdraw cash from somewhere else. "We are a small business, we have overheads that we have to pay just like any other business. To be able to provide our service to our local school fete we have had to purchase the ATMs, purchase and fit out the trailer to transport the ATMs, we have maintenance costs, we have to purchase replacement parts, modems, insurance costs and the cost of stocking the machine with cash. "This is all we do, this is our core business. ATM2GO provide ATMs so that people have convenient access to cash. We are not upselling home loans, credit cards or insurance. "We can't provide this service for free. You can make a cup of coffee at home and bring it to your local fete to drink. Does that mean the local coffee van shouldn't be allowed to charge for the coffee they have conveniently brought along at their expense? 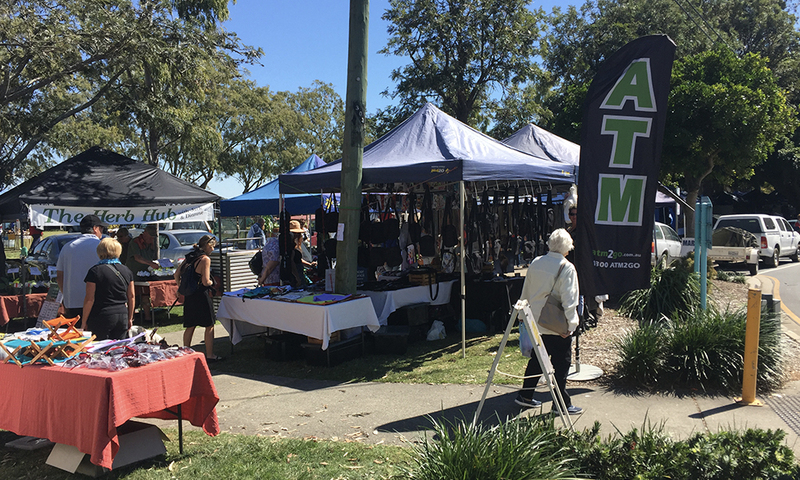 "ATM2GO is a local business owned by local people who are in turn providing a service that helps support your local school fetes, markets, community events and other small businesses. We are little guys and we shouldn't be lumped in with the big guys who are able to recoup their losses by charging you banking fees in a myriad of other ways."